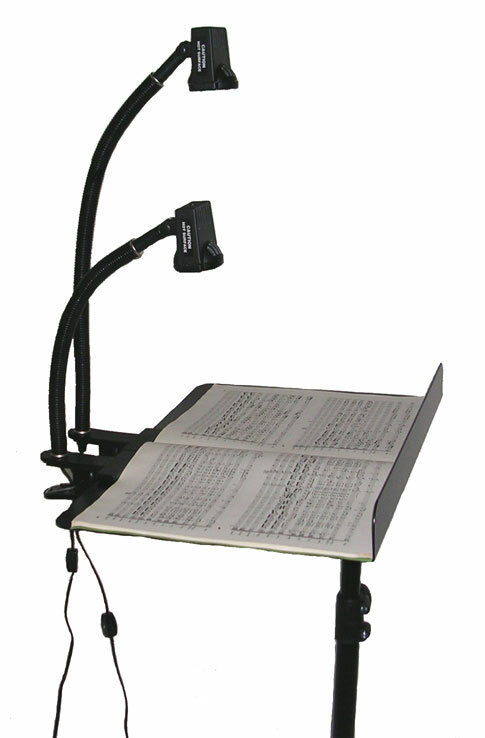 Because of the special diffusing lenses and 12 volt halogen bulb, the Pearl*Lite Music Stand Lights, Piano Lights and Conductor’s Lamps provide balanced non-glare light, illuminating the entire score with no shadows. 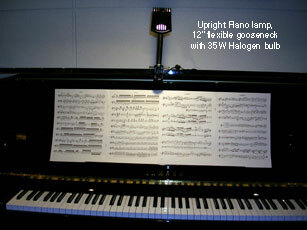 Regular incandescent music stand lights leave a dark spot on the lower half of the score. This causes fatigue and tires the eyes. Even with two 40-watt bulbs side by side, they still fail to provide the balanced even light that is important to prevent eye fatigue. 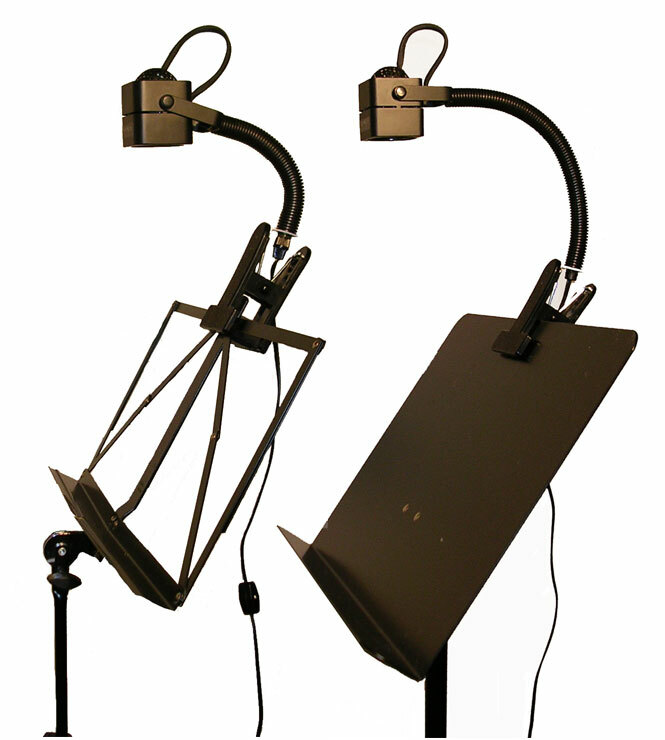 Music stand lights with fluorescent tubes buzz from the bulb and/or the ballast and cannot be dimmed. They create an artificial white light, similar to that in an office building. All our Pearl*Lite Lamps, including the Music Stand Lights, Piano Lamps and Conductor’s Lamps, with one 35-watt bulb use less than 50% of the energy required by incandescent bulbs and illuminate the complete score. See details on Performance Lamps below. 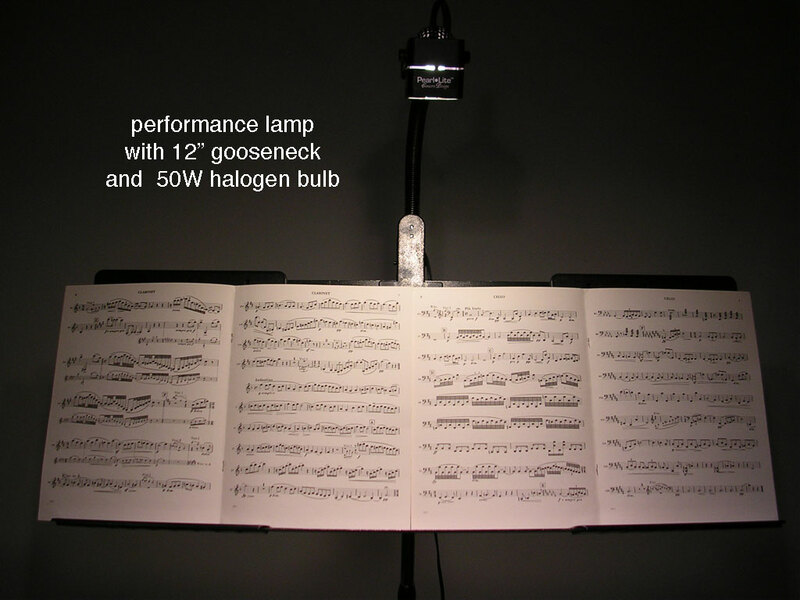 All Pearl*Lite Halogen Lamps are dimmable for concert/pit/theatre purposes. 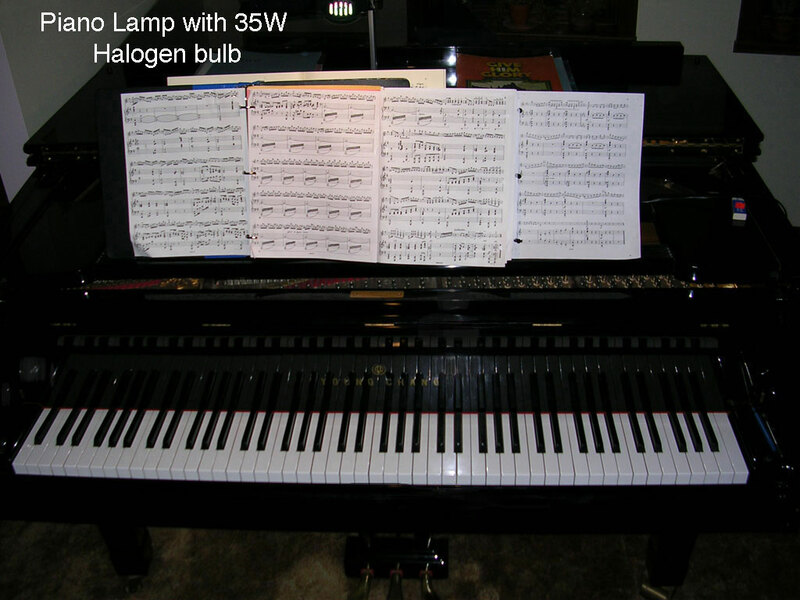 Halogen bulbs in 20w, 35w and 50w are available. 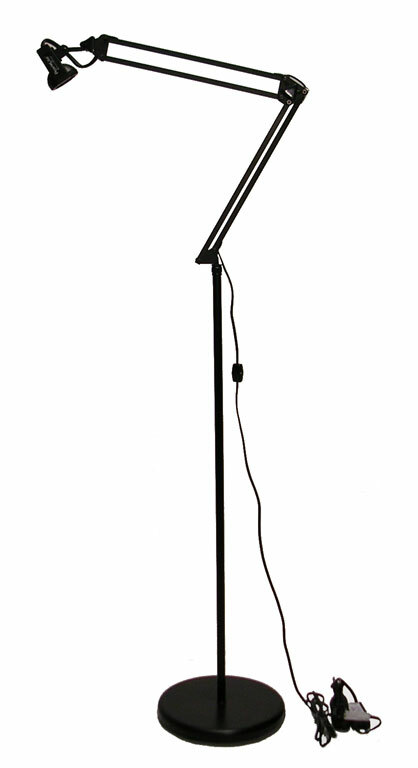 Quality components (cast metal lamp head, strong plastic clip, halogen bulbs) ensure long life with a minimum of care. All Pearl*Lite Halogen Lamps are available in 120v (North American voltage) or 220v (European voltage). 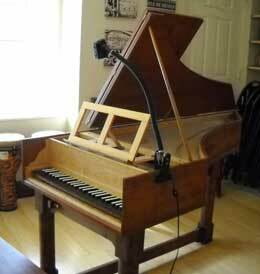 Zuckermann Flemish harpsichord with Concert Design Maestro Lamp. Courtesy Michael Coe, Wirral, U.K. 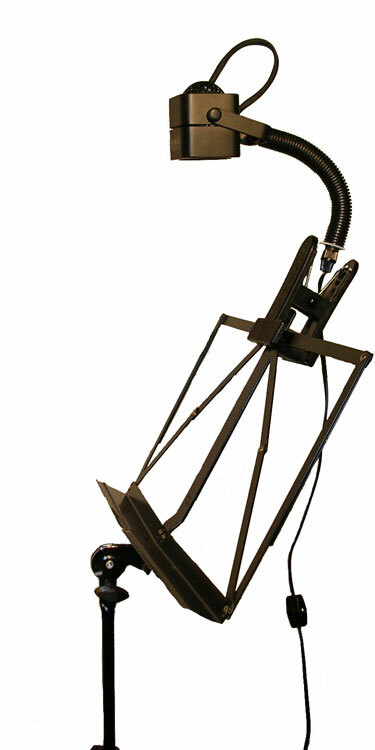 Shown with 6″ and 12″ flexible gooseneck. 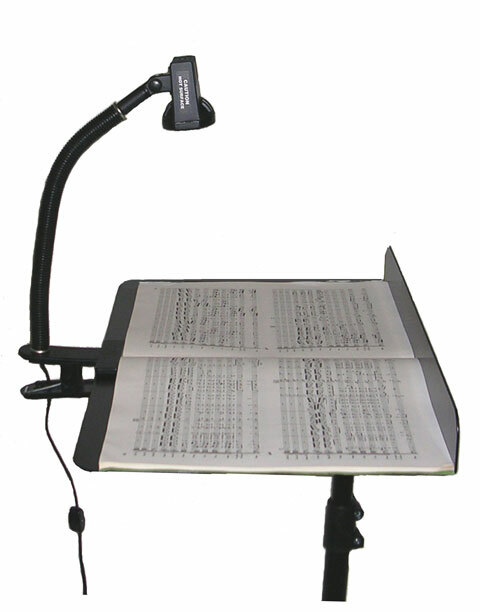 Note: When ordering a music stand light, please let us know what type of music stand you have. 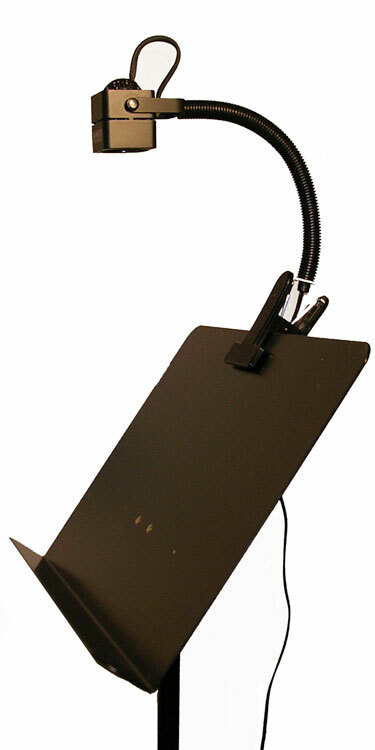 If necessary we can change the rubber spacer on the plastic clip to secure to your music stand correctly. 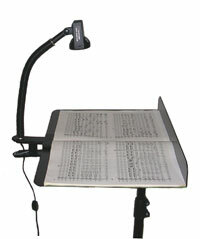 Performance Lamp: music stand lights with strong plastic clip attaches to orchestra music stands. 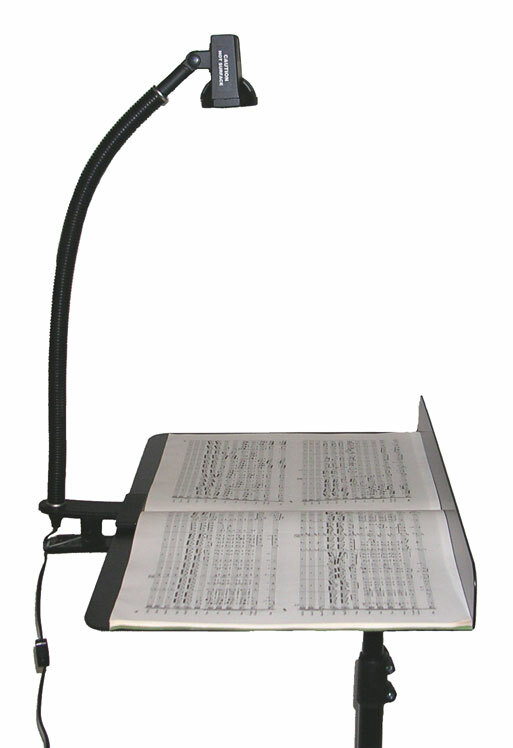 Shown with 12″ flexible gooseneck for extra tall scores; illuminates three or more pages with excellent balanced light. Also used for sewing, needlework. 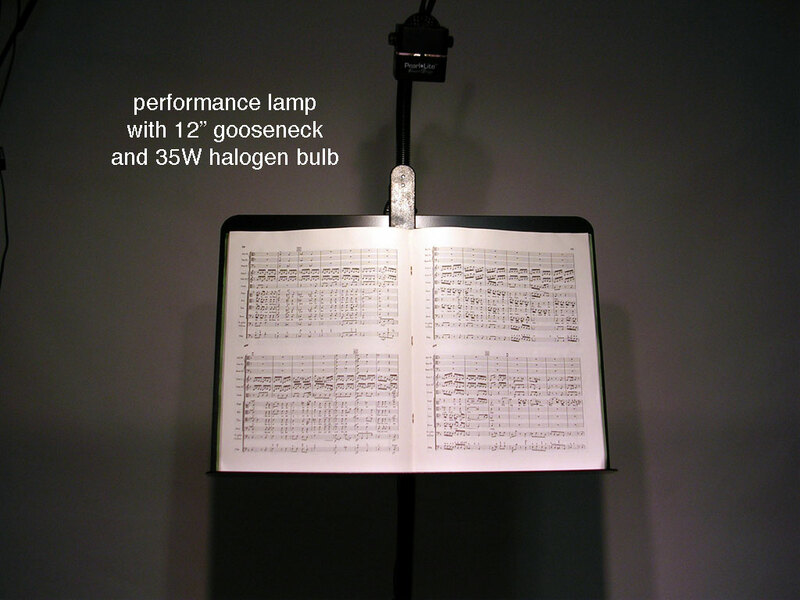 Performance Lamp: same music stand lights as above with 6″ flexible gooseneck. Strong plastic clip. 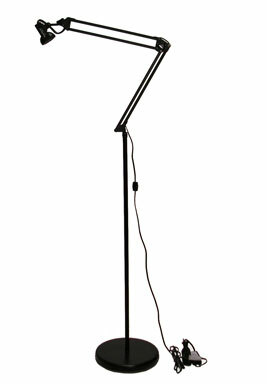 For tall scores; illuminates more than two pages with even balanced light. Our Music Stand Lamps also clip to many of K & M wire and solid-desk music stands. Call for more information. 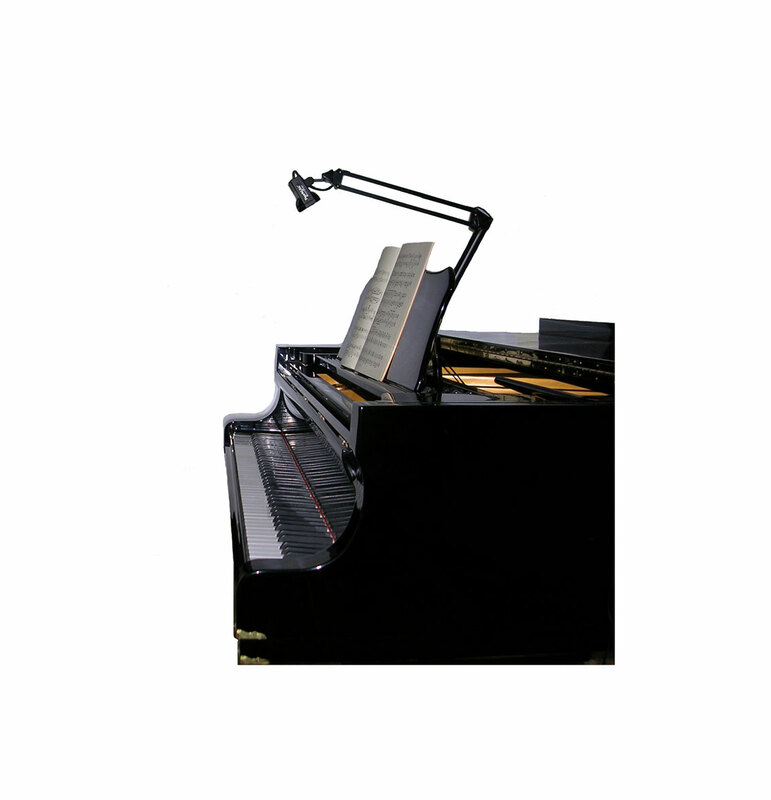 adjustable for tall scores; the grand piano lamp provides evenly-balanced light over entire keyboard and score; lights four or more pages. 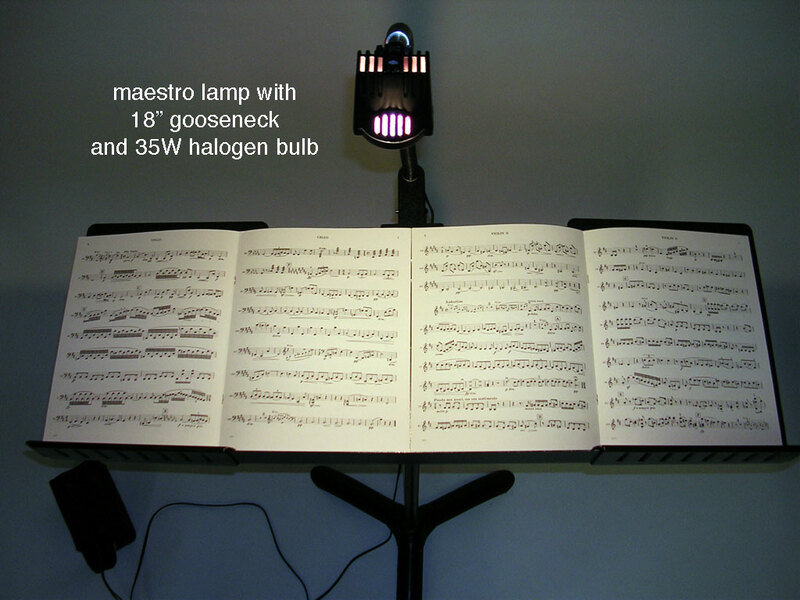 Maestro Lamp: conductor’s lamp clips to podium. Beautiful soft non-glare light with lots of “turning” space for large scores. 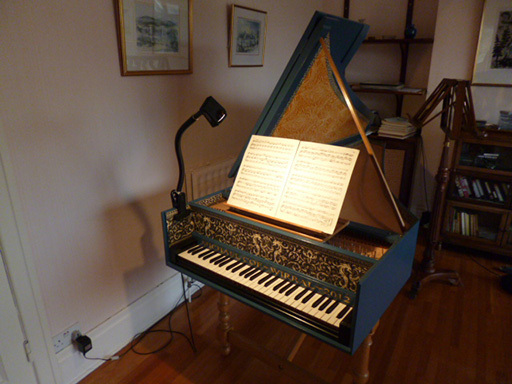 Other uses are book shelves, work table. Upright Piano Light/Piano Lamp: Specially made to fit the upright piano, this lamp clips to the top lid of most upright pianos. Some top lids may vary in thickness. Please call or email for questions. 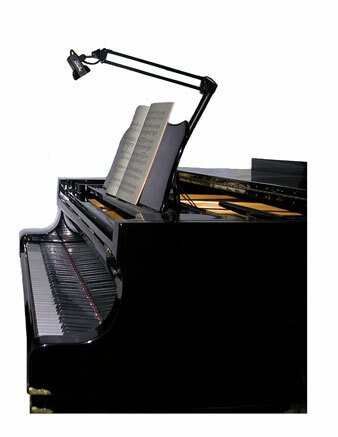 Concert Design Upright Piano Lamp shown on a Yamaha T121- 48″ Professional Collection Polished Ebony Acoustic Upright Piano Courtesy of Walters Music London, Ontario, Canada. 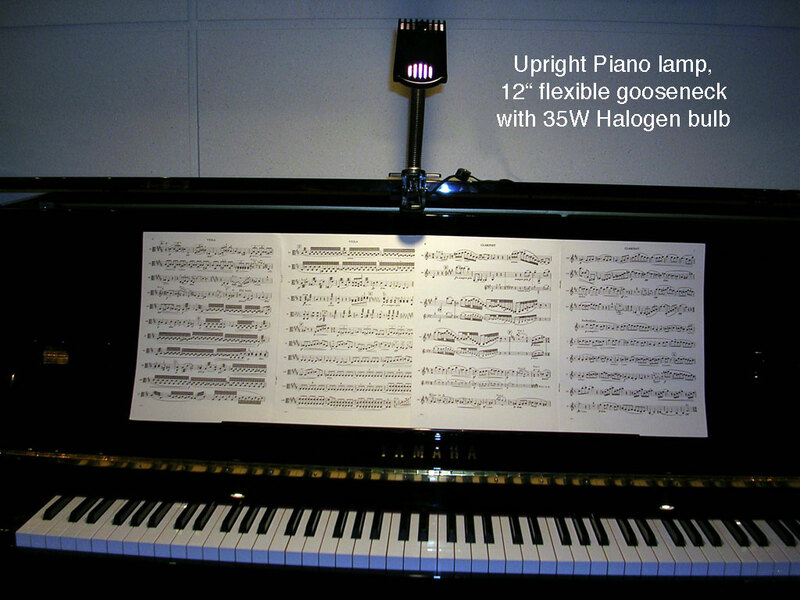 Upright Piano Light/Piano Lamp: Specially made to fit the upright piano, this lamp clips to the top lid of most upright pianos. Some top lids may vary in thickness. Please call or email for questions. 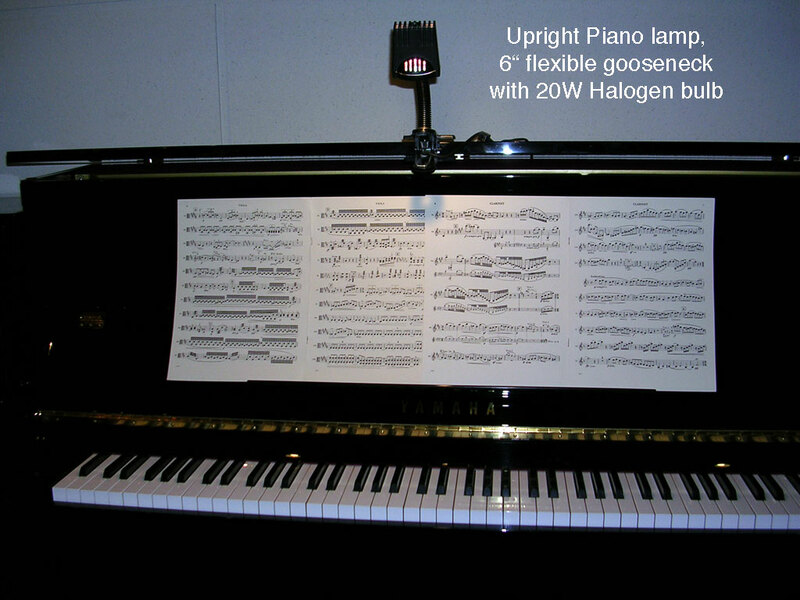 Shown with 12″ flexible gooseneck and 12v – 35W halogen bulb. 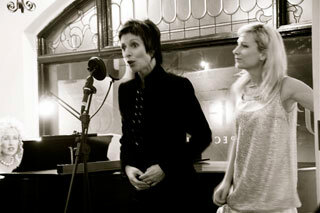 Hi Sal and Lois, Thought I’d send along a picture of your piano light in action at Paul Hahn and Co., in Toronto I’m at the piano of course, with singers Jean Stilwell and Patricia Zentilli.